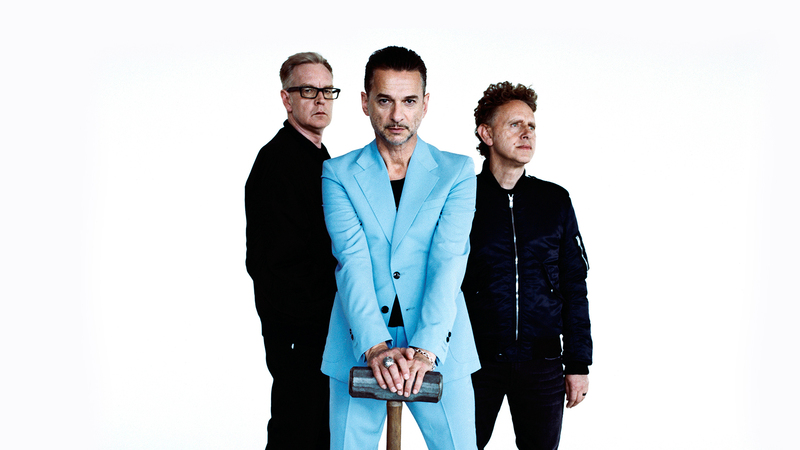 There is so much to look forward to in the month of March: warmer weather, spring breaks, and of course, Depeche Mode’s new album, Spirit, which drops on March 17 and is the band’s first release since 2013. To promote this highly anticipated LP, the new wave group made their way to The Tonight Show last night to rock Jimmy Fallon and NYC with a live performance of new song “Where’s the Revolution”. Fallon wasn't the only DM fan on his latenight show either—seeing as the comedian invited his stage manager onto the set so she could introduce them! The Essex natives will be kicking off their massive North American tour in August which will run until late October, hitting major venues like T-Mobile Arena in Las Vegas and Madison Square Garden in New York City. Be sure to start Tracking Depeche Mode on Bandsintown, so you never miss another one of their live shows!